It is hard to find the words to thank you both enough for building us such a beautiful new home. We are SO thrilled by the design and all the interiors, and are so grateful for your inspired vision. We have loved working with you both as you have been so professional but made it fun with the process – we’ve been a great team! We are looking forward to many years at home in Avalon. Much love. 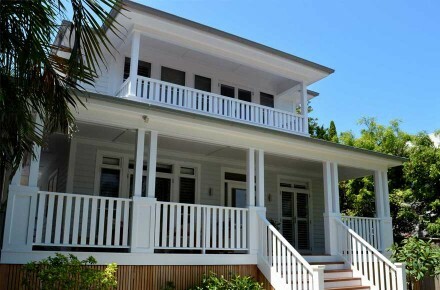 Alex Stritt is a master builder and craftsman and builds homes to the very highest standards of quality. Alex and his team of professionals have deep experience and they take considerable pride in their work. Moreover Alex has an excellent interpersonal style and works in real collaboration with his clients and always seeks to satisfy. Alex operates to the highest standards of ethics and integrity. Also Alex is a designer in his own right and because of this he is able to add value to any project and able to offer real practical advice to ensure the best outcome to any project. 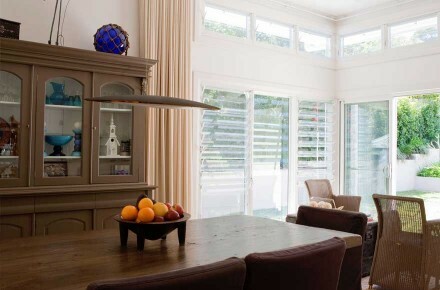 Janette Stritt is also an excellent interior designer and able to compliment any project with her superb eye for colours, furnishings and finishes. Alex has built two properties for me and I highly recommend Alex to you. Where does one begin? Thank you is nowhere enough – so here goes. For the past two years you have designed and built a dream. Your ideas, perfectionism and organisation is something I truly admire and appreciate. I must say I will miss the building process and thank you for all I have learnt with your guidance along the way. There is so much that has gone into our job and many things we would not even know about, but it has not gone unnoticed. It takes a truly talented person to do what you have done – on time (wow! ), with no stress or drama (not even one horror story to tell anyone – Just praise!). To Janette and yourself – you are lovely people and now lovely friends. Thank you so much, our house is now our home. A house is made of weatherboards and wooden beams. A home is made of love and dreams. We now have both – thanks so much. Thank you Alex. We were fortunate to have seen some of Alex’s previous projects and were impressed by the quality and attention to detail. So when we engaged Alex to build our family home, we immediately felt at ease that he was in control as he walked us through the processes that lay ahead in a very logical fashion. In our briefing, we insisted that Alex build the home as though it were his own. He was always very helpful in providing ideas and suggesting finishes that would complement the style of our home. Like all clients, we had high expectations and we are pleased to say that Alex not only met, but exceeded our expectations. We think the secret lies in Alex’s good relationships with very capable and reliable trades people. Alex was always courteous and professional in all our dealings and we were most impressed with his ability to co-ordinate all the trades throughout the build, but particularly at the end of the job in tying up the loose ends and completing our home in a timely fashion. We are thrilled with our new home and have absolutely no hesitation in recommending Alex Stritt and Stritt Design and Construction to future clients. 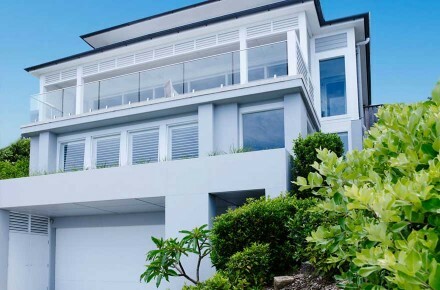 My company has worked with Alex Stritt and Stritt Design and Construction Pty Ltd on various projects over the years including multi-million dollar projects in Sydney’s Northern Beaches. I have always found Alex Stritt’s work to be carried out to the highest of standards. During the progress of jobs and discussions with myself and my staff, Alex has displayed a thorough understanding of what constitutes structural integrity and an awareness of the various forces that affect structural integrity. I have found Alex Stritt to be most diligent in his role as builder and he has always carried out his work in a highly professional manner. He is well organised and easy to work with. 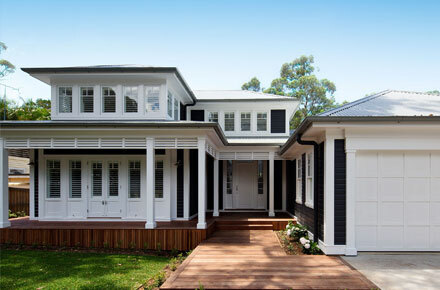 Houses built by Stritt Design and Construction Pty Ltd have been chosen to feature in a number of well known publications such as Australian House and Garden, Home Beautiful, Real Living, Contemporary Home Design and Home Build magazines. Our company would be most pleased to continue to provide Stritt Design and Construction Pty Ltd with consulting engineering services and have no hesitation in recommending Alex Stritt and Stritt Design and Construction Pty Ltd to any prospective future clients. Stritt Design and Construction designed and built our beautiful home. We couldn’t have been more pleased with the outcome. From the get go, Alex and Janette were professional, always punctual, communicative and overall made the whole experience a positive one. Their knowledge, experience and design skills set them apart and the result, we couldn’t have been more pleased with. 12 months living in our new Hampton’s style home and we wouldn’t change a thing. We highly recommend Stritt Design and Construction to anyone looking for a clever building designer, expert interior designer and quality builder. 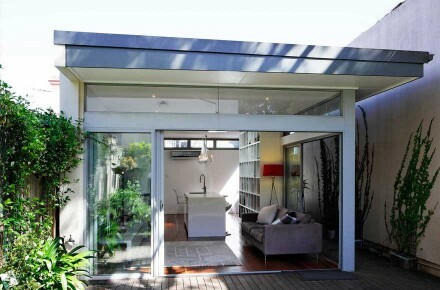 Our project consisted of significant alterations and additions to the rear of our Annandale residence. 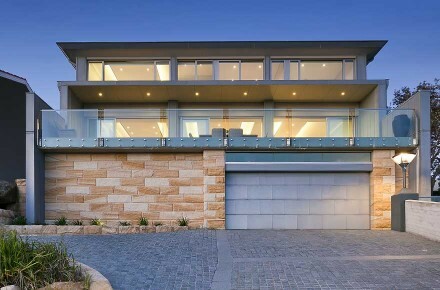 The existing front was retained whilst the rear was opened up to form a free flowing light-filled contemporary space. 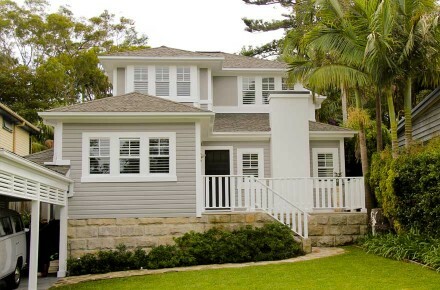 Alex’s commitment in the project was exemplary with a great eye for high-end detail. Alex had the perfect understanding and ability to blend a modern style whilst respecting the original character of the home. His professional attitude and experience easily fulfilled our brief. Alex worked closely with our architect to achieve an outstanding result. We would highly recommend Alex Stritt and Stritt Design and Construction to any prospective new client. I would thoroughly recommend the work done by Alex Stritt from Stritt Design and Construction. The level of finish, attention to detail and overall quality of product produced is of the highest calibre. I look forward to working with Alex again as the outcome of build results in a successful and quality outcome for all involved. I am delighted to provide a testimonial for Alex Stritt and the team at Stritt Design and Construction. 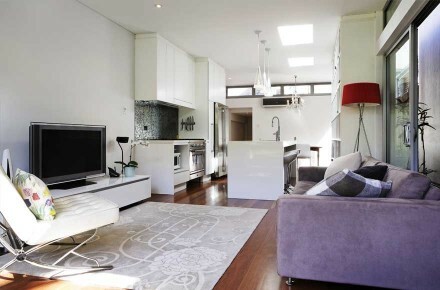 Five years after I engaged Alex to design my kitchen and renovations in Mosman it continues to get compliments from visitors as if it was recently completed. Alex’s attention to detail and superior eye for design helped to create a contemporary, luxury space that is both practical and stylish. Alex and his team were a pleasure to deal with throughout the project and made the whole process hassle-free. I have absolutely no hesitation in recommending Alex and the team at Stritt Design and Construction. It is with great pleasure we provide a testimonial for your future building clients and to allow us to share our feedback and tremendous pleasure of working with you Alex and your company Stritt Design and Construction. You have created for us a wonderful family home. Glenn and I can’t believe it’s been four years already. 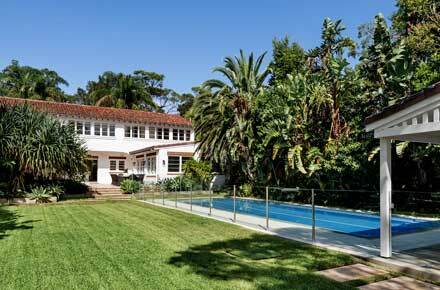 In 2006 when we embarked on the journey of considering a sympathetic refurbishment of our 1940’s Hollywood style mansion we knew it would be a mammoth task. By early 2007 the first ground was turned and we were locked out of our house for 8 months…it’s amazing what was achieved in this time! We knew that the selection of our builder was vital to the success of the execution of the project and outcome. Alex you were pivitol in the creation and realisation of our beautiful family home. It takes a lot of trust to select the right person to handle your most precious asset. Alex you were not only our builder but also our project manager on the entire project. A godsend for people as busy as us! It is amazing, each day, we remark at how beautiful our home is and the superb craftsmanship that went into it. Your tradespeople are just fantastic and notably hand selected by you to achieve the most superb result. Anything less and it wouldn’t be your style. An investment in a large refurbishment and extensive additions is a big task to embark on and we are both pleased with the choice we made of choosing you as our builder. We appreciate the care, time and amazing professionalism you displayed in the stressful task of complying with our ultimate desire to create a great family home. Thank you Alex and also to your wonderful team of craftsmen. Without you it wouldn’t have been the same – we know that for sure. 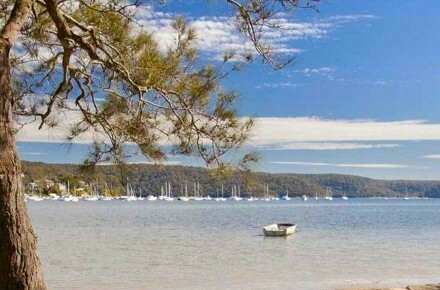 We look forward to seeing your ongoing endeavours with the beautiful properties that keep popping up all over the Northern Beaches.